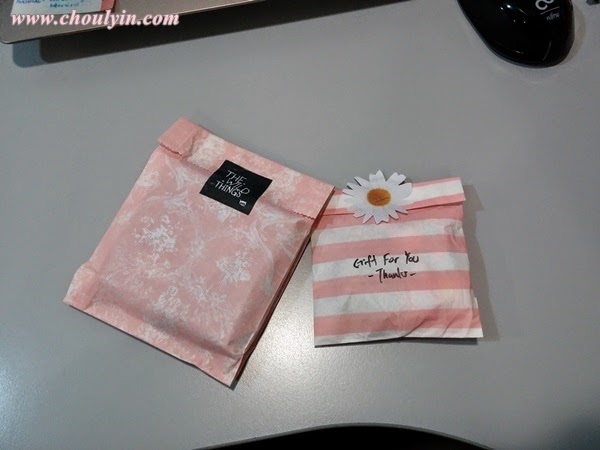 Circle of Life - Malaysia Beauty and Lifestyle Blog: Review + Giveaway: Go Wild with The Wild Things! Review + Giveaway: Go Wild with The Wild Things! Hey guys, how have you all been doing? I hope the water rationing has not dampened your moods one bit, considering that it's been a while now that it's been going on, and rumour has it that the water shortage might very well happen all the way to September! *gasp* But let's not worry about that today, for today I am here to raise your moods! Stay on til the end of the post and I have something exciting for you guys! Now, most of you have most probably heard of Pandora Charm Bracelets as well (if you haven't, it's time for you to come out from under that rock you've been living under), and they're also a very exclusive brand that offers charm bracelets, albeit of a different nature. Their price range is also around the price range as TS bracelets, so you can say that they're pretty high end. Truth be told, I am quite unwilling to part with my money to buy Pandora Charms, so I have been searching high and low for online stores (or at flea markets) for Pandora Inspired Charm Bracelets. 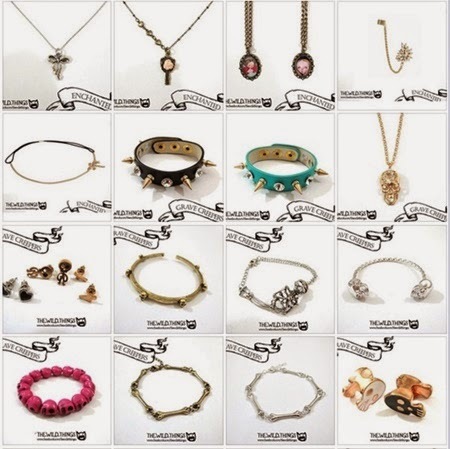 And, that was how I found The.Wild.Things :D TWT was launched in March 2013 bringing different chapters in life, all speaking of fun and having a trendy assortment of accessories. 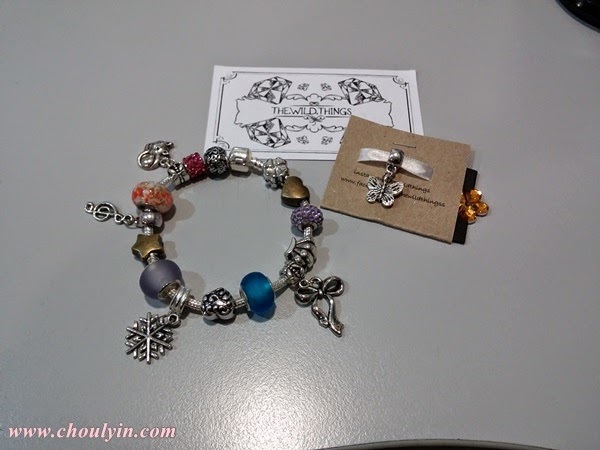 One of their specialties is the Handmade By The.Wild.Things, whereby they custom make accessories specially for you, and one of them is, incidentally, the Pandora Inspired bracelets!!!!! 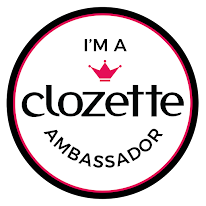 *love love it* If you love accessories and want to have the option to customise it, this is definitely the thing for you! 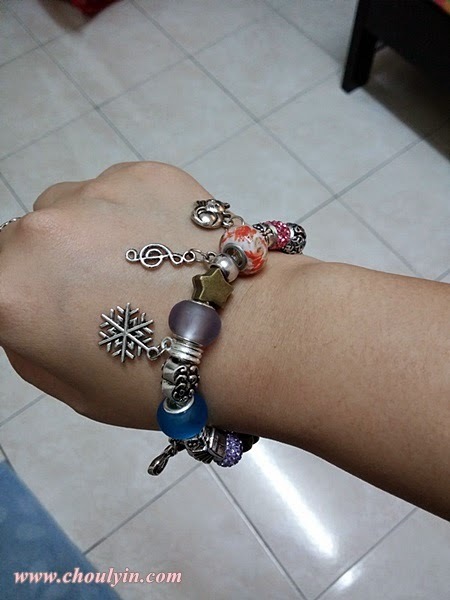 They sell really good quality Pandora Inspired Charm Bracelets, and their charms are really quite affordable too. I've found charms for sale at flea markets for RM10-18 apiece, but TWT only sells them for RM4! Because they were having a promotion that time, I actually got another free gift from them, which was a butterfly charm! When I opened up the case, I fell in love with my charms immediately. 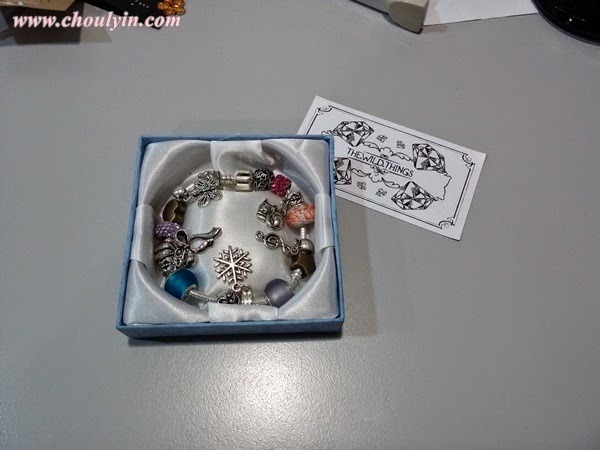 They were all very good quality charms, and you could see that they were different from the other types of Pandora Inspired charms that you can see out there in flea markets or pasar malams. The charms had a solid weight to it, and you can see that they are higher end than most charms from other sellers out there. As I loved her charms, I took quite a few, like the snowflake, music note, and the cat. I also took the bow as well, and as you can see from the bottom pic, the free butterfly charm that she gave me. 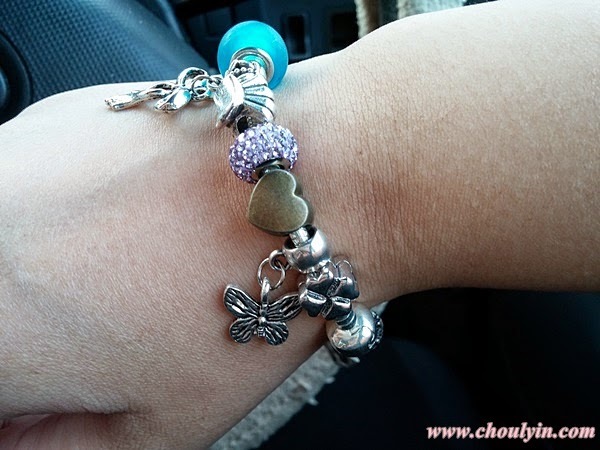 The charm bracelet I have is interspersed with different coloured spacers and diamond beads, so it gave a colourful and versatile look to my bracelet. One of the great things that TWT does is that they give you the option of customising the charms, spacers, beads, and dangles that you want, so the end product is something that you know you will love! For me, I had a mixture of blue, red, pink, and purple, four of my favourite colours. I use this almost as often as I use my TS bracelet, and I always feel good using it. But that's not all. If you were to scroll through their FB page, you would see another section under Chapters. Just like a book, every chapter tells a different story. Discover chapters of style from classic vintage, ethnic, bohemian, punk rocker, elegant to sophisticated. 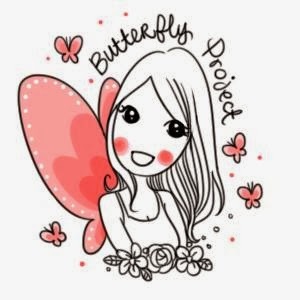 These chapters come in batches every six months, and they offer trendy fashion jewelry and accessories, such as necklaces, bracelets, rings, and hair accessories. Their products are carefully handpicked from suppliers around Asia, and also designer handcrafted ones that adds specialty to their one of a kind collection. So to commemorate it, what shall I do? Yup, you guessed it! I will be giving away one pandora inspired charm bracelet with 10 charms (of your choice!!!!!) to one lucky and adorable winner! All you have to do is complete these simple steps! Complete these Daily Entries to earn more entries! Have Twitter, GFC and Bloglovin? Get Additional Entries! The giveaway will run for two weeks and will end on 4 May 2014 Sunday night, 11:59pm, and is only open to those residing in Malaysia. I will use random.org to select my winner, so the more entries you have, the higher your chances of winning!!! BUT If you are the winner and do not respond to my email within 48 hours, a new winner will be selected. Whoaaa!!! Its soooo pretty!!! I like the snowflake, clover and the music note… And the seashell… The star and heart… OMG! I love them all. Hahaha! Sooo pretty . I really hope I can win ..
thanks for joining babe :) hope you win! hahaha if you win you can have all of them as your charms!